Many solvents used by electrospinning process can disslove many plastic tubing and connectors. TONG LI TECH designed and made special PTFE tubing for electrospinning which can be used for almost all solvents used for electrospinning process. 1. 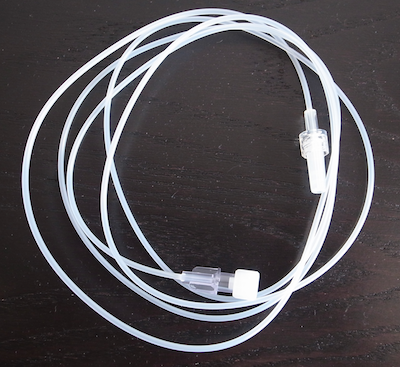 PTFE tubing+PP luer lock connector：Length:1.2m. The length can be customized, but once it is made to certain length, it can't be changed. PEEK luer lock connector is reuseable. 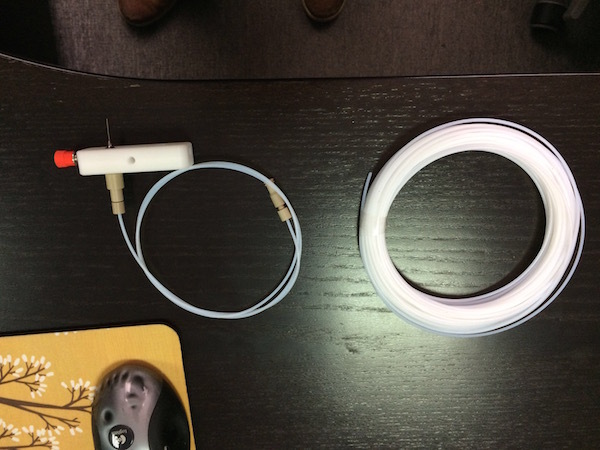 PTFE tubing can be cut by the user, but please make sure PEEK is suitable for your solvents before choose this connector.